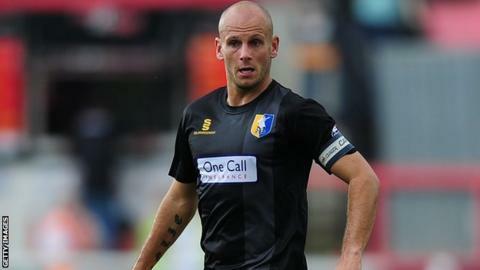 Mansfield Town manager Adam Murray has said he expects to sign a new contract with the League Two club. Murray, 33, became the youngest boss in the Football League when he was appointed player-manager in December. The Stags are currently 21st in the league, with six losses in their last seven games, but safe from relegation. "I'm hoping it'll get done as soon as possible so everybody can put closure on it and we know where we're going." Murray has also made 16 appearances for the club as a player this season.